Tired of the same old baby wear? Project Pomona jeans combine great design with smart features, and are hand-made in the USA too! I am a blue jeans kind of gal. Yes, I work in a corporate office, but I'm most comfortable in my blue jeans, and so if only by extension of my own preferences, my boys seldom wear sweat pants. In the cloth diaper community, Project Pomona has built up quite a loyal following. 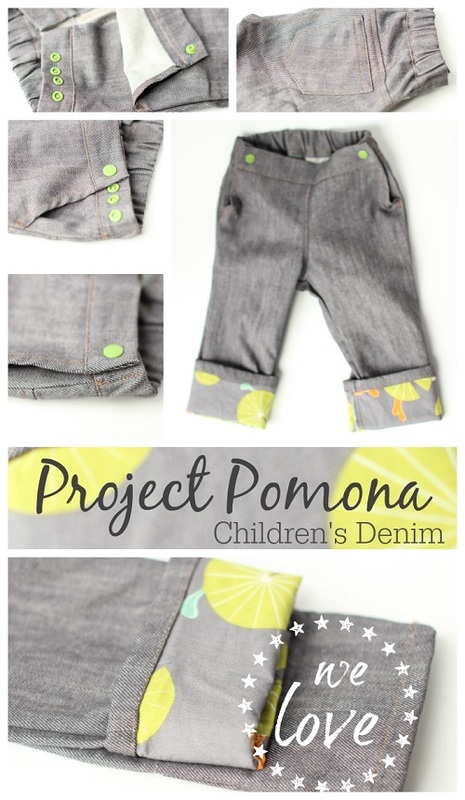 Moms love Project Pomona jeans for their easy-on design and great fit over cloth diapers - and disposables too! Ever since they launched, I have been hearing great things about Project Pomona Jeans. I had been eager to try them out, so when they offered a sale one day on Facebook, I went shopping! I currently have 4 pairs of Project Pomona jeans and khakis, and am featuring the Little Sport (a really neat black stretch denim with red stitching and red undertones that can be dressed up or down really easily!) and the Little Hipster (a heavier weight slimmer fitting grey denim with the roll-up Koi Pond print coordinating cuff) in this article. 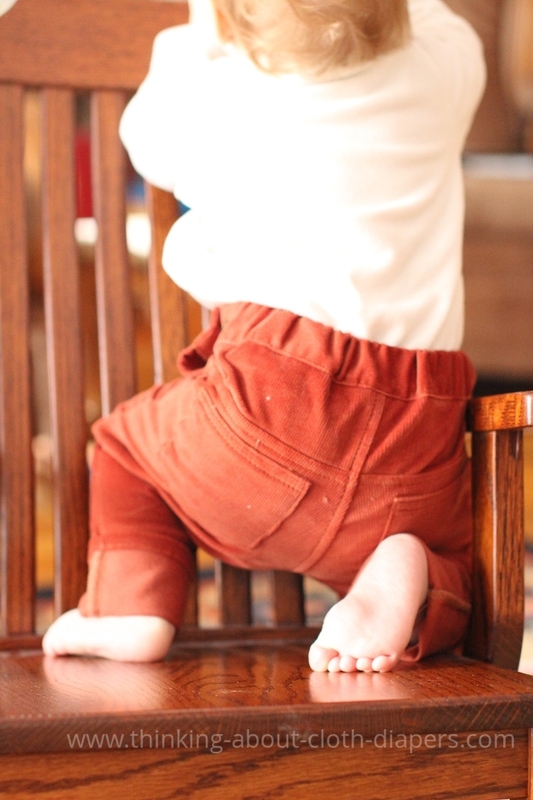 Both pairs easily fit over cloth diapered bums, and are now our favorite pants! How do Pomonas compare to other children's jeans? We've purchased a lot of children's denim over the past 5 years, from the likes of GAP, Old Navy, Gymboree, Tommy Hilfiger, Osh Kosh B'Gosh, and countless other big brand names, plus store brands too. We even had a pair of NWT (new with tags) Armani boys jeans I received in a lot of clothing. Sewn down back pockets - look cute without adding bulk, and don't bunch up or look messy later on. The attention to detail is amazing! I love the little touches like reinforced seam stitching - just like you would see on a pair of adult jeans! I ordered my first pair when my little guy was only a couple of months old. 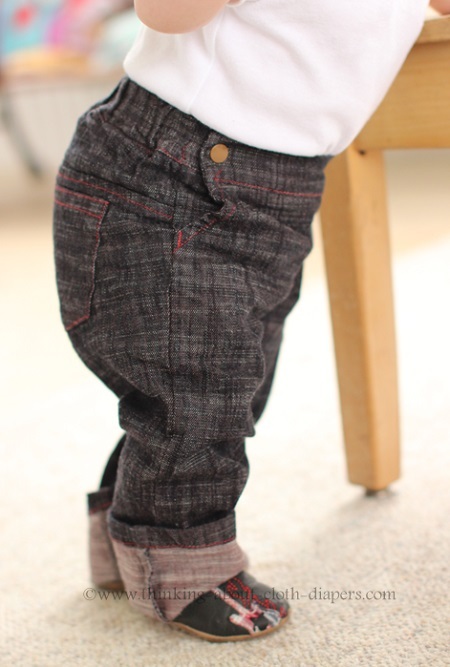 He was already wearing 6m Carters' clothing, and so I picked out a pair of Size 2 (9-18 month) jeans. 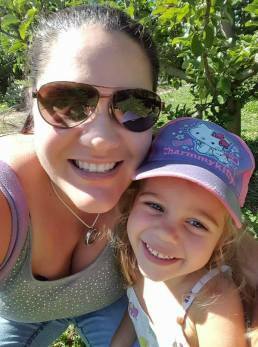 They were adorable, and I was immediately impressed by the quality - but I was SO disappointed that we were going to have to wait a couple of months to try them out - these jeans run true-to-size, and I definitely should have got the Size 1's to start! The denim used in Project Pomona jeans is all pre-washed, and so you don't need to worry about shrinkage. While the labels do recommend hanging to dry, ours have made it into the dryer more than once with no issues with sizing all. What do I love about this product? 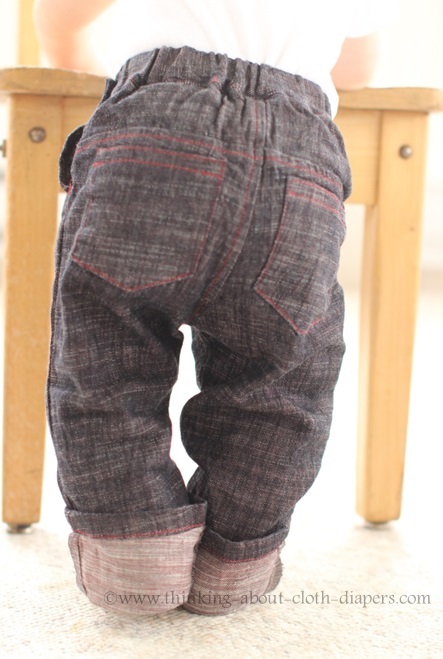 Project Pomona's jeans are incredibly easy to pull over a diapered bum (cloth diapers or disposables), thanks to the adjustable snaps. 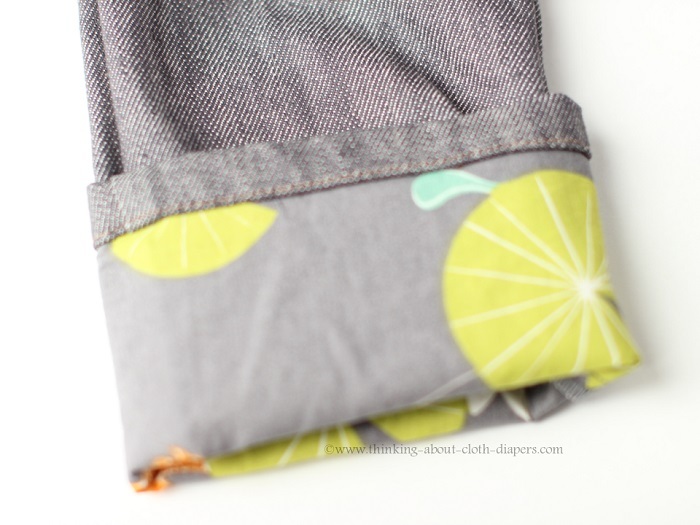 I've always found putting a baby in elastic waist band jeans to be kind of like putting a pillow in a pillow case - you almost have to shake them to squish them in! Not the case with Project Pomonas... the front pulls up and snaps, and the design then looks almost like pockets. I love that these jeans fit for several months. We loaned out our baby clothes between babies, and so some of the clothes my little guy is wearing now have been worn by 4 little boys and still look brand new - they grow so fast! Since these jeans are more expensive than basic baby clothes, I love that the cutest jeans we own will fit for 3+ size ranges. 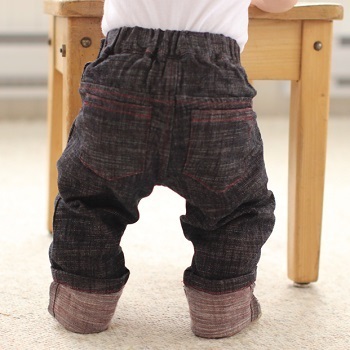 I have even heard of people rolling Pomona's up for baby "capris" after baby outgrows them at a pants length. Fun! As winter approaches, I'm especially happy about our Project Pomona jeans. I always find that when I put my son in our Tula baby carrier (a soft-structured carrier), his jeans end up around his knees. 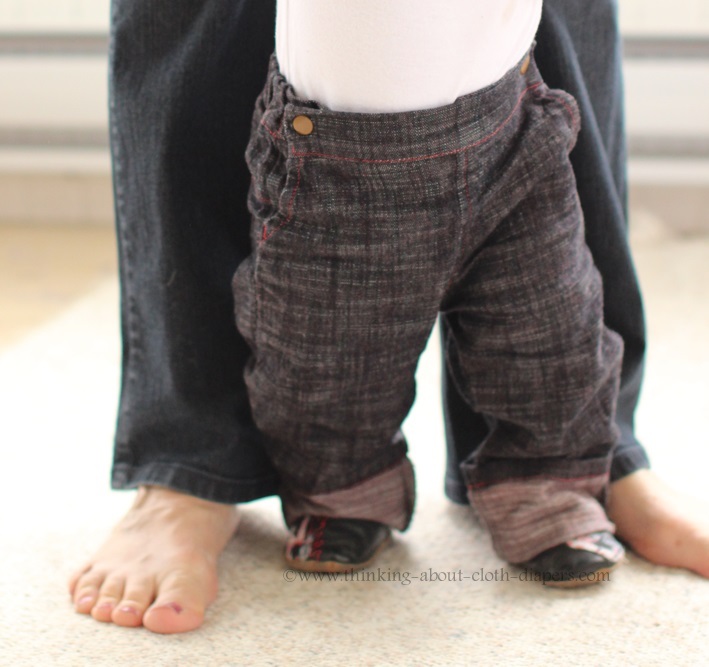 Project Pomona Jeans are wonderful for babywearing - I simply roll the cuffs down, and they keep his legs covered and warm. Every pair of Project Pomona pants and shorts is hand-made in the USA. One of my first exposures to Project Pomona was when they were featured on Baby Steals. I thought Baby Steals was just for "big brands" - but don't be fooled like I was, every pair is hand-made by designer Meghan herself! I love it when my purchases support other families close to home! 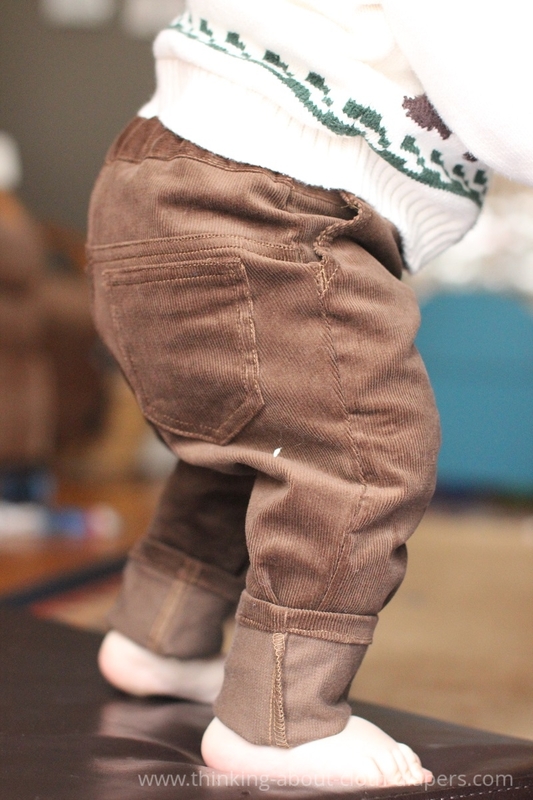 Below are a couple of photos of my little guy in his Christmas cords from Project Pomona. These are available in 5 adorable colors in a skinny leg cut! Would I recommend them to a friend? We absolutely LOVE Project Pomona, and I don't hesitate to recommend them! While I do sometimes hear comments about them being expensive, I know we are getting value for our money. 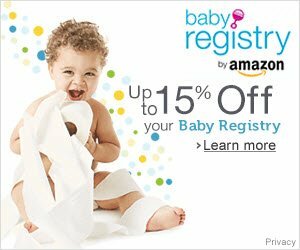 Their pricing is similar to that of Gymboree and GAP. 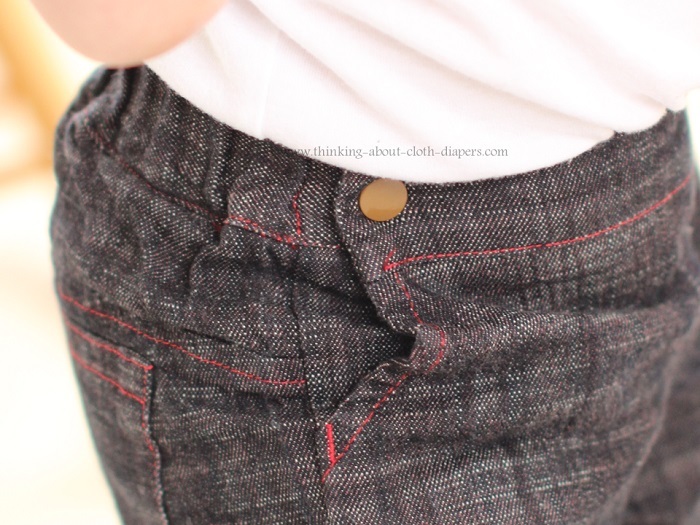 But with their roll-up cuffs and very adjustable snap waist band, my son will get to wear his Project Pomonas for 8-12 months - not 2-3 months like many of the big denim brands. If you can't afford these jeans for every day wear, I would highly suggest them for dressier occasions. Since we dress up only occasionally, I can often count on one hand the number of occasions my sons' dress pants have been worn before they were outgrown. 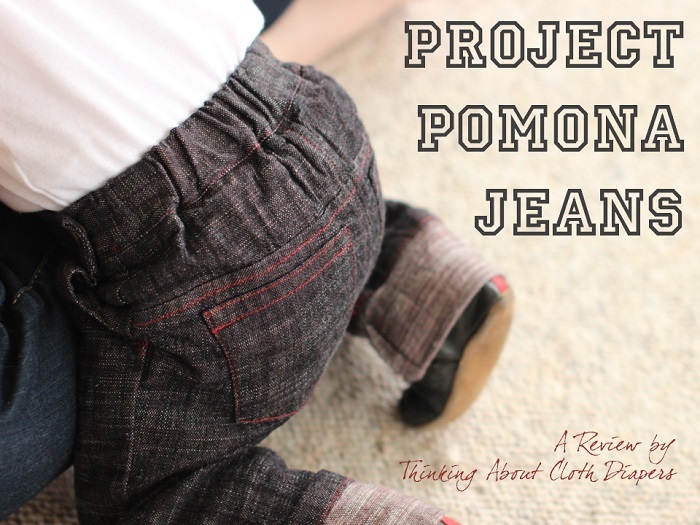 Project Pomona makes great dark-wash jeans, corduroys, and khaki pants that are great for special occasions - especially perfect for little boys! Project Pomona jeans can be purchased directly from Project Pomona's online store or through their Etsy shop. Select styles are also carried at some cloth diaper retailers, including Kelly's Closet. Disclosure: I had already purchased (and obviously loved!) 3 pairs of Project Pomona pants when I was pleasantly surprised when the package I had ordered contained an extra pair with a note from Meghan, the designer of Project Pomona, asking if I might share her latest style with my readers. My response: Of course! The opinions expressed in this post are entirely my own, and your experience with the product may differ from mine. I only recommend products or services I use personally and believe will be good for my readers. This article may contain affiliate links. I am disclosing this in accordance with the Federal Trade Commission’s 16 CFR, Part 255: “Guides Concerning the Use of Endorsements and Testimonials in Advertising.” For more information, see our Disclaimer and Copyright. Go back to Our Favorite Products. At Thinking About Cloth Diapers, we offer reliable, up-to-date cloth diaper research to save you time so you can get on with the other things you want to do. Return to Thinking About Cloth Diapers homepage.